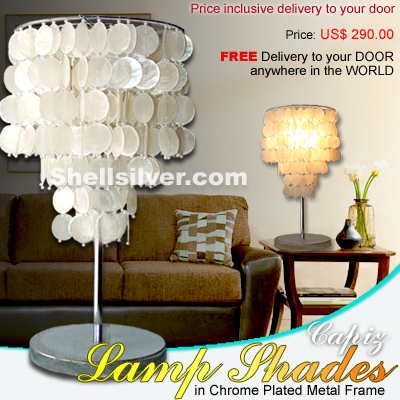 Capiz chips natural white in round shape, 79 strand, 263 pcs. 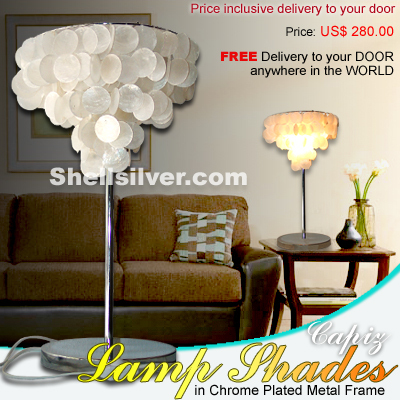 50mm capiz chips with electric fitting more..
3 layers Capiz chips natural white round shape, 71 strand, 374 pcs. 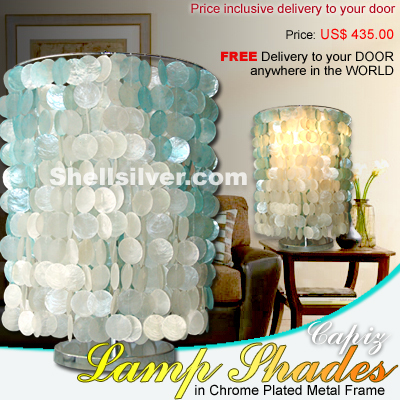 50mm capiz chips with balls and more..
Capiz chips natural white and light blue in round shape, 85 strands, 935 pcs. 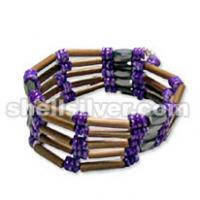 50mm capiz chips with more..
3 layers Capiz chips natural white heart rectangular design, 71 strands, 232 pcs. 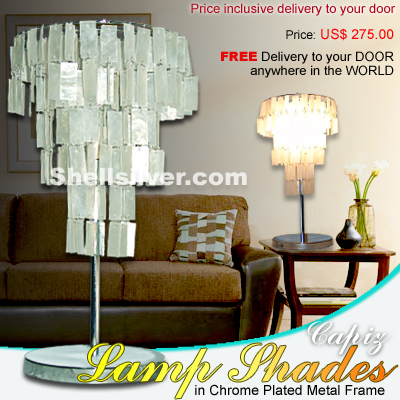 50mm capiz chips w more.. Handmade table lampshades made of capiz shells & brass in natural white capiz shell color. 21cm long more.. 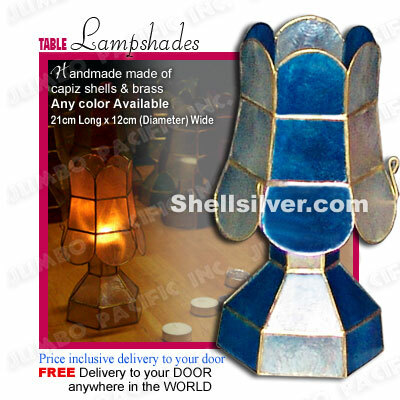 Handmade table lampshades made of capiz shells & brass in natural white and blue capiz shell color. more.. 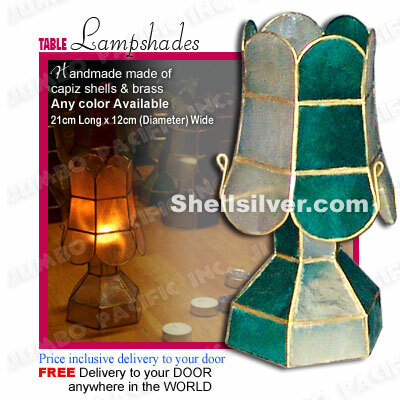 Handmade table lampshades made of capiz shells & brass in natural white and green capiz shell color. more.. 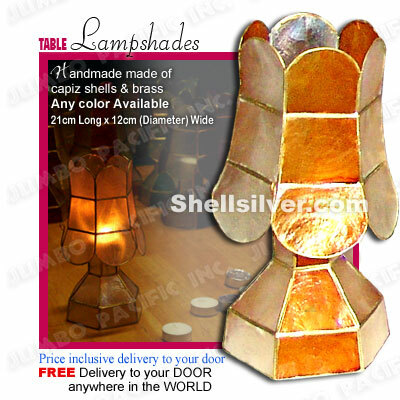 Handmade table lampshades made of capiz shells & brass in natural white and orange capiz shell color more.. 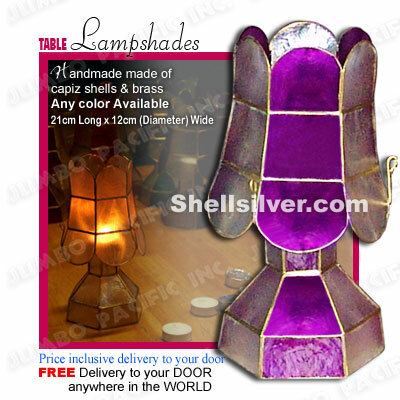 Handmade table lampshades made of capiz shells & brass in natural white and purple capiz shell color more.. 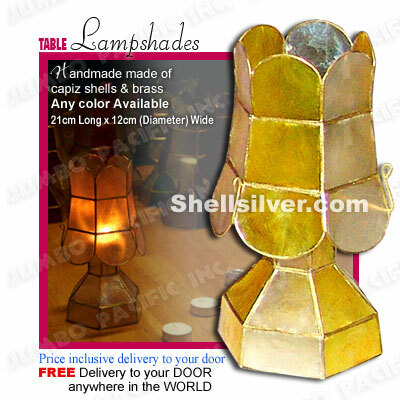 Handmade table lampshades made of capiz shells & brass in natural white and yellow capiz shell color more..